We live in a world full of shiny distractions, faced with an onslaught of viral media constantly competing for our attention and demanding our affections. 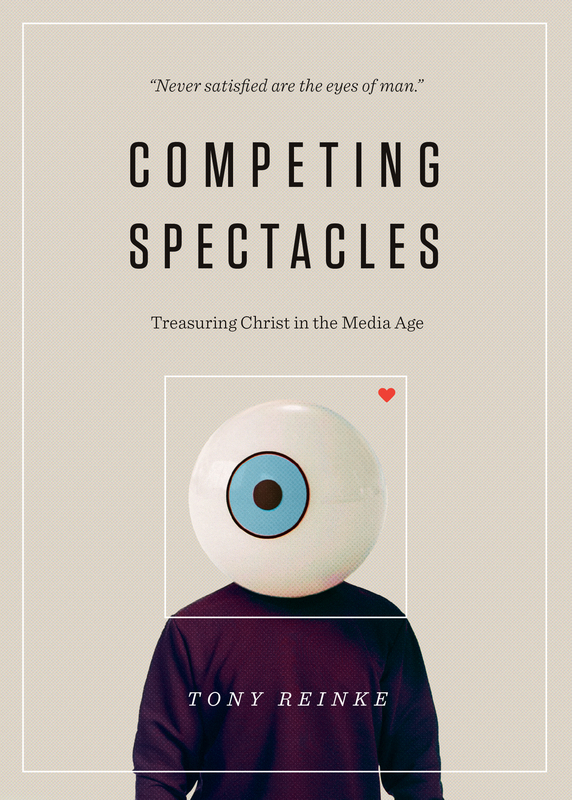 These ever-present visual “spectacles” can quickly erode our hearts, making it more difficult than ever to walk through life actively treasuring that which is most important and yet invisible: Jesus Christ. In a journalistic style, Tony Reinke shows us just how distracting these spectacles in our lives have become and calls us to ask critical questions about what we’re focusing on. The book offers us practical steps to redirect our gaze away from the addictive eye candy of the world and onto the Ultimate Spectacle—leading to the joy and rest our souls crave. Tony Reinke is the communications director for desiringGod.org. He is the author of Lit! : A Christian Guide to Reading Books; Newton on the Christian Life; and 12 Ways Your Phone Is Changing You. 18: Is the Cross a Spectacle? 22: The Church as Spectacle Maker? 27: A Movie So Good It Will Ruin You—Would You Watch It?